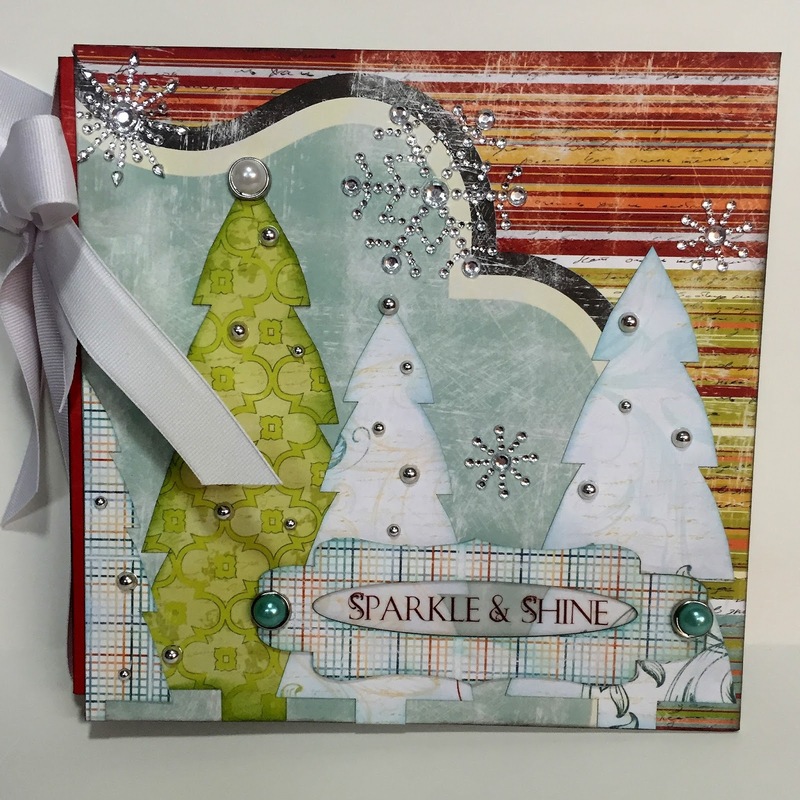 Alicia with you today to share a Sparkle and Shine mini album. I used lots of left overs from Quick Quotes December Club Q. This month's kit had so many beautiful die cuts, vellum quote and embellishments. 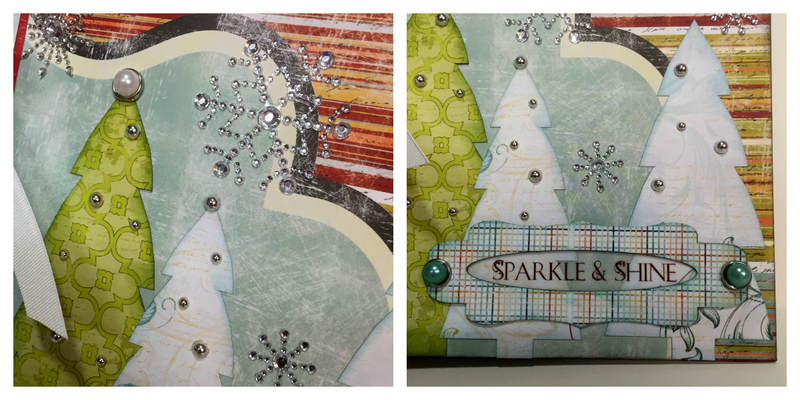 I added more papers and embellishments from the Whistlin' Dixie collection to make a fun, festive and sparkly album! 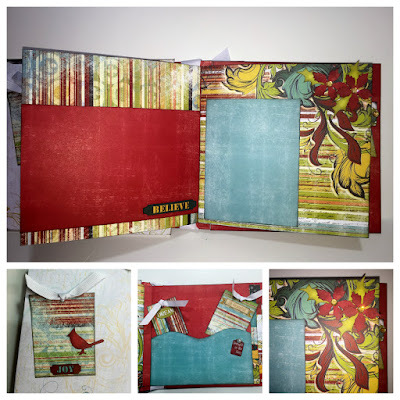 To create the pages I simply added a quarter inch to the width of the square page and scored. I adhered the quarter inch scored and folded piece to an piece of paper of equal length but half the width. 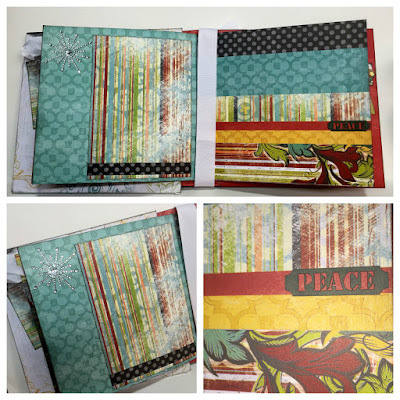 After the eight pages were in place, I slipped the ends between the chipboard and the paper I am using to cover the outside before adhering securely. I decorated the pages with tags from this month's Club Q Kit just adding some ribbon and a cute die cut cardinal. I also used the chipboard words Joy, Believe, and Peace from the kit after I colored them with Quick Quotes PowderPuff Chalking inks. On the final page, I left the backing on most of the chipboard sentiment until after the photograph is placed. 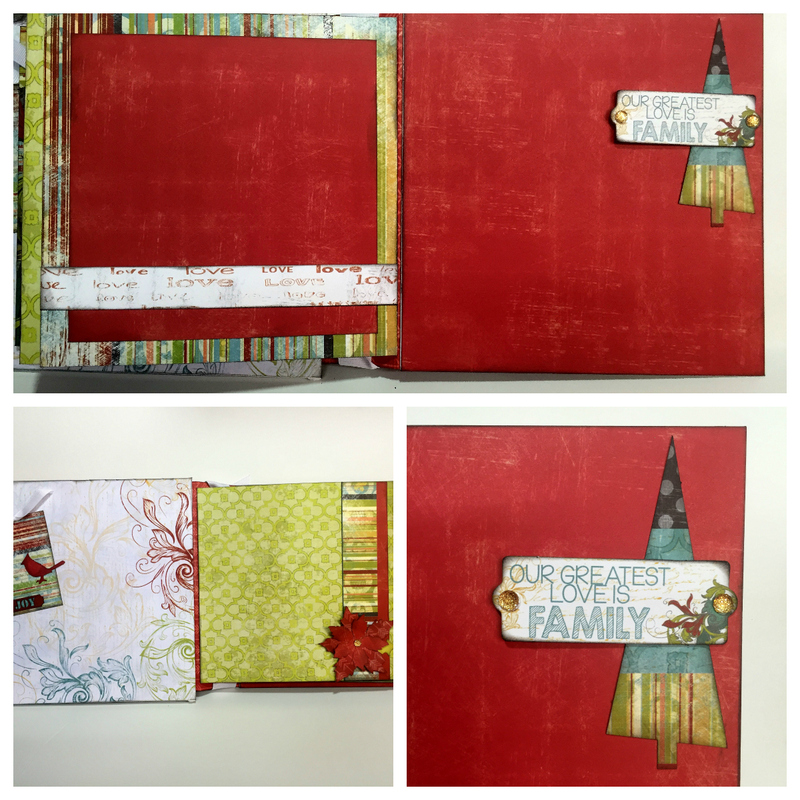 I also only adhered the edges of "love" paper so that a photo can easily be slipped inside.